WHERE have all the heroes gone? Who are the role models young people should emulate? This subject came up for discussion over the dinner table the other evening, and we all struggled to find a name. Aung San Suu Kyi of Myanmar no longer qualifies after her callous disregard for the Rohingya ethnic cleansing. After her fall from grace, she is virtually a pariah among the very circles who once elevated her as a symbol of democracy and resistance to dictatorship. Seldom has an icon burned and crashed so quickly. Who else? As I look around the world, I see the rise of populist leaders with pronounced autocratic inclinations. While Donald Trump leads the pack, many others are in close competition. There was a time when Turkish president Recep Tayyip Erdogan seemed to have pushed the country’s interfering army into the barracks, and had transformed the Turkish economy. But his increasing taste for authoritarian rule, especially after the failed coup against his government in 2016, has exposed him as a latter-day sultan indifferent to democratic norms. Benazir Bhutto, for all her flaws, was a genuine Pakistani heroine. I know I’ll get a lot of flak for this, but Benazir Bhutto, for all her flaws, was a genuine Pakistani heroine. While much of her two short stints in power were tarnished by charges of corruption, her commitment to democracy was unflinching and inspiring. For me, her assassination, and the courageous way she faced her enemies, was the ultimate redemption. 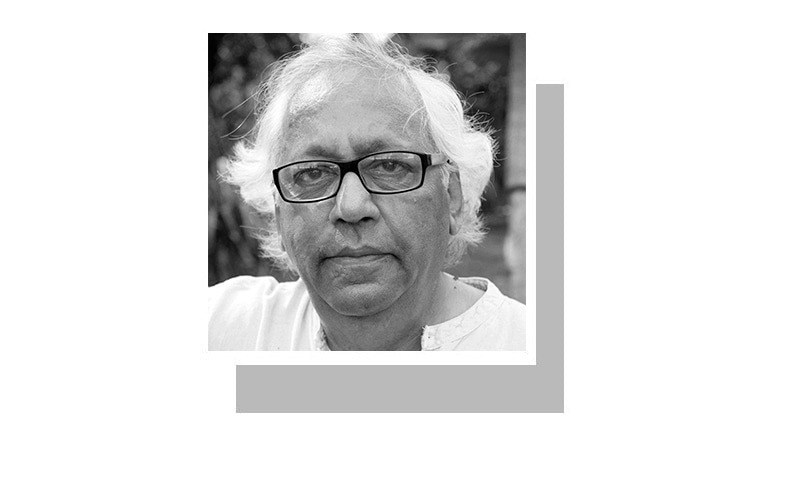 Imran Khan, for all his charisma and populist rhetoric, has made so many tawdry compromises in his relentless quest for power that it is hard to see him in a heroic light. His alleged backroom deals with the country’s power brokers have taken the sheen off his election victory, and made even some of his supporters question his self-proclaimed idealism. Pakistan clearly needs heroes: the central area in its capital is tellingly called Zero Point. Almost without exception, each leader is demonised and demolished after he or she is no longer in power. So Islamabad’s streets and sectors are seldom named after those who once wielded power, or contributed in different ways to our history and culture. Instead, they are given numbers and letters like E7, G2 and so on. Nevertheless, we are lucky to have people like Dr Adeeb Rizvi and Jibran Nasir, the human rights activist. Abdul Sattar Edhi and Asma Jahangir are, alas, no longer with us. Adversity and oppression often produce larger-than-life figures who lead the resistance. In America, men like Martin Luther King Jr and Malcolm X were both assassinated when they challenged the country’s white supremacy. Clearly, shadowy operatives who opposed the concept of racial equality were not prepared to allow such charismatic black leaders to live. A decade ago, Barack Obama appeared on the American political horizon like a meteor, and seemed to have cut across America’s racial divide. But our optimism was misplaced. As we can see, Trump’s victory in the 2016 election showed that little had changed, and the president’s overt racism is as much a sign of America’s divisions as it is of Obama’s failure to change attitudes. Like a meteor, he flared and fell to earth. Europe, with its broad consensus on tolerance, democracy and social welfare, has a political system that, until recently, imposed a bland conformity. This uniformity made heroes redundant, and few giants have emer­ged. Now this consensus has been cracked by the immigrant crisis that has opened wide fissures in the political system. Only Germany’s Angela Merkel had the courage to put her political future on the line when she welcomed close to a million refugees. For me, this act of political bravery makes her a heroine. Imran Khan initially offered citizenship to Afghan refugees and migrants from Bangladesh. But it only took a few angry growls from nationalists for him to retreat. Sadly, while our prime minister can talk the talk, it doesn’t take much for him to execute a U-turn. In Africa, Nelson Mandela was a towering figure who devoted his life to fighting apartheid, and paid for his resistance with decades in jail. In a sense, his struggle went far beyond the boundaries of his country and his continent, and inspired people around the world. More than his commitment to racial equality, his refusal to seek vengeance against South Africa’s white ruling class has done much to defuse tensions. Mandela taught us to forego revenge, and opt for a peaceful, democratic path instead. In today’s divided world, this is a lesson all politicians need to take to heart. Unfor­tunately, despite the example set by the great South African leader, lesser men and women at the helm of affairs choose to be guided by anger, bitterness and short-term gains. And this is why we need heroes. Young people today have few role models to follow, and are often confused by the loud, mindless shouting matches that pass for informed debate on TV. Surely they deserve better. Sir, idealism never brings you into power. Realism does. And that is why IK made those 'compromises'. Good intentions are of no use to people if one is not in power to implement them. "Instead, they are given numbers and letters like E7, G2 and so on" Hussain Sahab - Indians think that their streets and cities are named after demons. Could be true!! Beautifully analyzed, no doubt she was a great leader, pity she didn't stay long to be emulated. Flak, at least not from people of my times. Pakistan has had only one hero - M.A. Jinnah. Bengalis ok,they were once part of Pakistan but Afghanis,no way.Nelson Mandela was an extra ordinary leader,but he was living in a different country in different times and fighting for a different cause. Benazir — a true Pakistani? Give us a break sir! Sir with all due respect you will always struggle to find your heros if you go to far of land looking for mandela's and deliberately ignoring his guru ; Mohandas karamchand Gandhi. By the way Suu Kyi fought for democracy in more adverse conditions compared to Benazir. Great leaders are made great by what they would have done and not by what they have done. Like what Gandhi would have done for rohingyas can still be told with certainty. Can you say the same for Benazir? Your articles make for most intriguing reading in all of Dawn. Nawaz and his economic hit man Ishaq Dar have done to Pakistan is near irreparable for it will take a generation to get rid of the corrupt mafia and the decline in every facet of civil life and morality. Benazir alone could have stopped it. She absolutely does not qualify. would she have gotten elected without the Bhutto name? what did she accomplish in her tenure? what were the HDI for people of Sindh, for people of Pakistan, before and after her tenure? Any number of journalists have written of her elitist disdain for ordinary people. Just starting a money handout program funded from taxpayer money does not count as an accomplishment. A leader empowers people to use their talents; a leader does not create a legion of dependents. Corrupt can never be considered hero's. Rwanda president is a real hero who turned Rwanda from a country plagued in civil war to a country destined for greatness. Sir, Imran is already a world Cup winning hero in the history books... The sane world considers him a hero who established a top class cancer hospital on the back of cricket's top bauble. If some people do not accept him as such is their choice. As such, on the political turf he has conceded runs in the first few overs...time is not that far away, when he will bowl maiden overs and take quick wickets. Remember, he can bat also. I admired Benazir and even named my new born daughter Benazir but after the Hyderabad bridge massacre got her name officially changed. I have never regretted since. I know the culprit was some one else on the bridge that killed 40 MQM women. But no action was taken. Even now the Lahore Model Town Massacre is glossed over and no one is bothered to find justice for the victims. We have no Heroes. All we have are culprits and thieves. Money Launderers and Knaves. We become uncomfortable when Imran makes a U-turn. But then what is there to do ,the money is all gone. There is not much he can do. After all he cannot line them up. The Chinese Model or the Saudi Model or the Egyptian Model cannot work in Pakistan. So all we can do is sulk or pray. It will be a long time. BB was a great leader and tried to uplift women in a society which treats them like cattle. Of course she was not perfect, but as they say, perfection is not given to human beings. But she was the first woman PM in a Muslim country who fought against prejudices against women. Alas, she was killed when she was still young and could have performed far better in later years when she could not be called too young to rule. On the other hand, people do not matter, ideas do. I hope PPP remains secular and let women participate in all spheres of life. I hope Malala comes back and lead our country one day. Angela Merkel and Barak Obama fit into the mold of great heroes of our time. Besides having other leadership qualities, they are intelligent and kind, too. Nelson Mandela is perhaps the only person who stands out as being "a leader" in the modern world. The rest are only politicians. "For me, her assassination, and the courageous way she faced her enemies, - was the ultimate redemption.-" Your redemption caused 4 billion rupee losses in a day, 213 losses of life, 30 universities ransacked, destruction of property and utter chaos at the will of a commando that still eludes justice. Once a bureaucrat ..... always a bureaucrat. Benazir Bhutto was the best you could come up with ? I do agree with the writer's choice of who should be called a hero/ine in Pakistan and across the world. No doubt she was herione. @THE MORNING STAR, Have a heart, there is always light at the end of the tunnel. Abdul Satar Edhi and Asma were never in power or high office to achieve for the general masses. Just to aspire to become PM by any means is not leadership and nagitivity has never paid off in the long run. Leaders try to bring change through examples and not U-Turns. As usual a good article by Irfan. Imran is a hero. If he is not then there is no other and no other can be. A good and truth-based article contributed by Irfan Hussain. He has unambiguously and impartially analysed the standard of a hero and heroine. My Hero is and always will be the great Sir Syed Ahmad Khan.He united the Muslims.Created Pakistan and worked hard for their advancement with emphasis on Modern Education.He established the famous Aligarh Muslim University and truly is the greatest Hero of all time. appreciate the author for coming out boldly and fairly, the facts of the matter! salute DWAN for publishing the same! @Usman, ""Instead, they are given numbers and letters like E7, G2 and so on" Hussain Sahab - Indians think that their streets and cities are named after demons. Could be true!!" How would you feel if someone forcibly changed mecca to, say, "St. Petersburg". In lndia somebody came and changed the names of the cities from what they were for thousands of year before. They are being change back to their original names. These are some of the most sacred and ancient placed. What is wrong with that? IK is a hero, who through sheer doggedness and against all odds won the world cup. Now he wanted to uplift the country and help the poor so he entered politics and became PM against all odds. The powers to be cannot not influence the vote but they can even the playing field which they did and PTI won. IK is a role model and we are proud. Believe it or not, Imran Khan is the hero for a large number of young Pakistanis. Sir, If you consider Nelson Mandela a great leader, what do you consider Gandhi who was Mandela's idol? In the words of Mr. Mandela himself "If there was no Gandhi, there would be no Mandela". Very casually dampened the hero factor of Imran. That is the power of a writer. Mr Irfan, you chose such a beautiful subject and explained so well the need and absence of role models. Failures and flaws in leadership have always been there, it is only our time that has perfected a system of demolishing its symbols with such ruthless perfection and completeness, that nothing remains of them. I wonder who will win - the self destructive system or the quality of leadership? IK being a humanitarian qualifies as a hero in my books. He will hopefully succeed in redefining 'normal', if nothing else. Our people need to wake up. Heroes cannot save us. Only we can change and then things will take a turn for the better. The rest is all a waste of time. @Ali Asghar, spot on Sir.